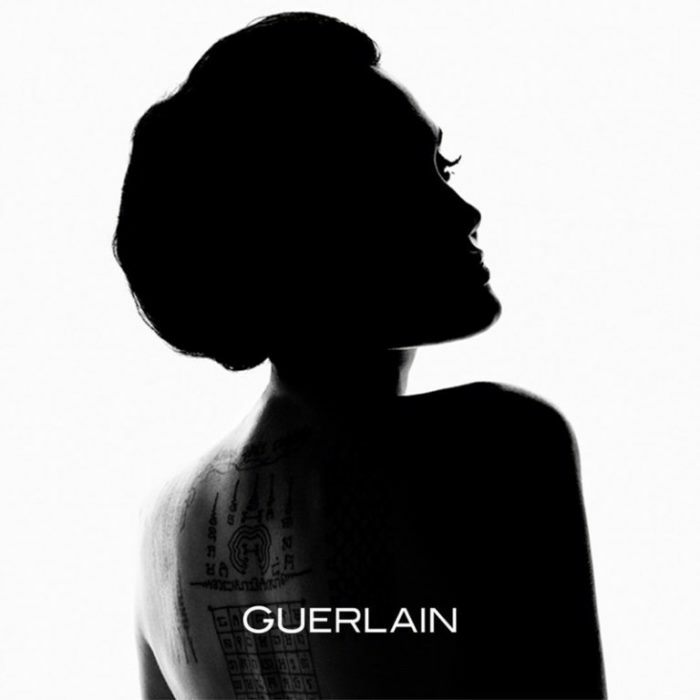 Angelina Jolie has been announced as the new face of Guerlain. 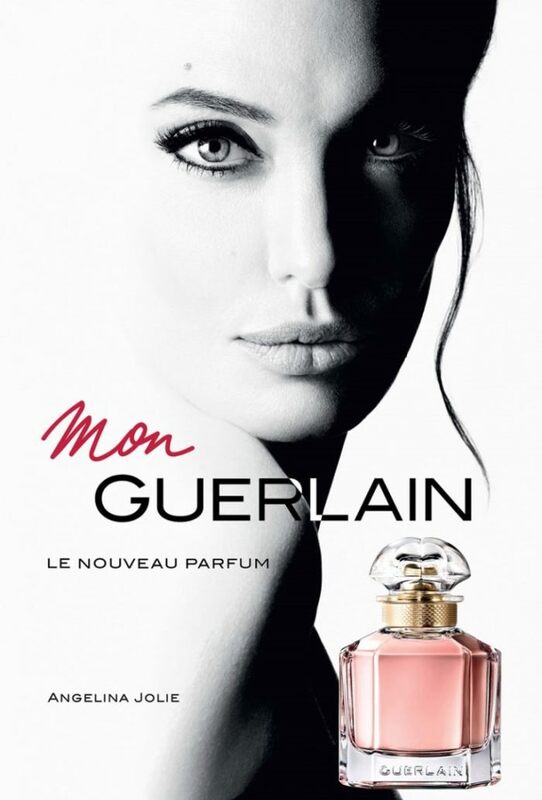 The star fronts the new fragrance, Mon Guerlain. Photographed by Tom Munro, Angelina wows in black and white imagery. In a promotional shot, the movie star showcases her famous back tattoos. While the official campaign imagery features a closeup of her striking features with sixties inspired eye makeup. 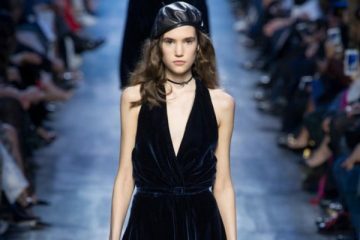 According to Vogue UK, Angelina will donate her entire earnings from the campaign to charity. 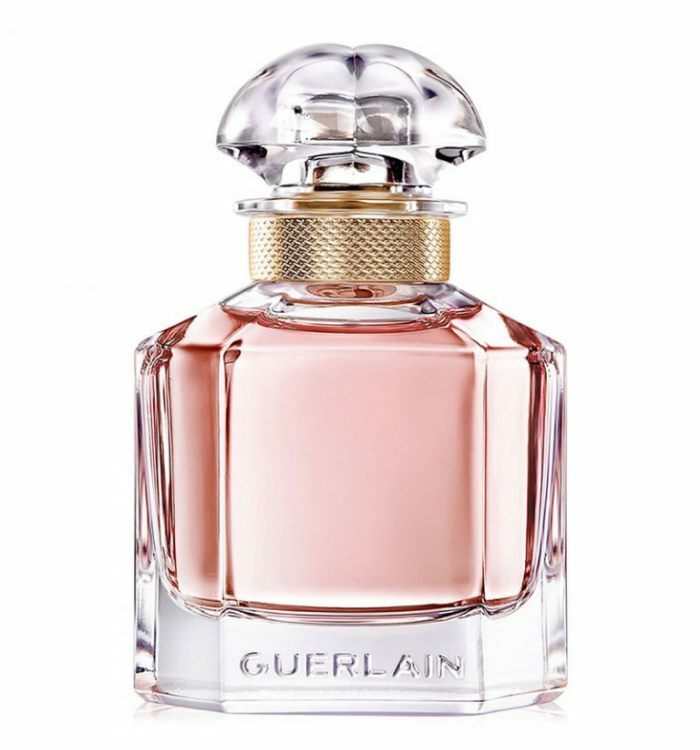 Described as a fresh oriental scent, ‘Mon Guerlain’ includes notes of Carla lavender, vanilla Tahitensis as well as Sambac jasmine.